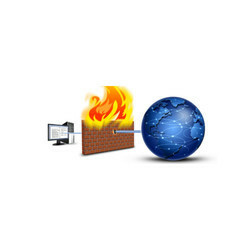 A firewall is a set of related programs located at a network gateway server that protect a private network's resources from outside network users. Basically, a firewall examines each network packet to determine whether to forward it toward its destination. Firewall is a network security system that controls the incoming and outgoing network traffic based on an applied rule set. A firewall establishes a barrier between a trusted, secure internal network and another network (e.g., the Internet) that is assumed not to be secure and trusted. Looking for Firewall & UTM ?